I plan to explain everything in more detail once I’ve handed it in. 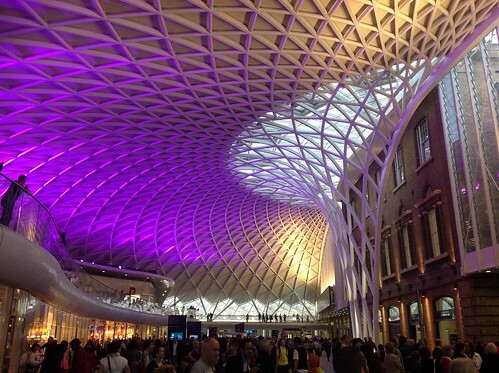 Basically my task was to program a genetic algorithm to optimise structures similar to the London Kings Cross Western Concourse. It is incomplete so don’t judge me too much. Also bear in mind that I learned MATLAB ‘on-the-job’ so most of my code is slightly untidy and inconsistant. If you want to compare results with a much more sophisticated NSGA-II genetic algorithm, download here. It’s been a long slow process but I have come out the other end passionate about MATLAB and I want to incorporate it in my career. I’m not sure if I have any MATLAB familiar followers (if you are give me a shout!). If you are, I’d also like to make you aware of my other blog. It’s aim is to get people to collaborate with their matlab projects. You can check it out here. ← Brand New Music Genre: ElectoVegStep!